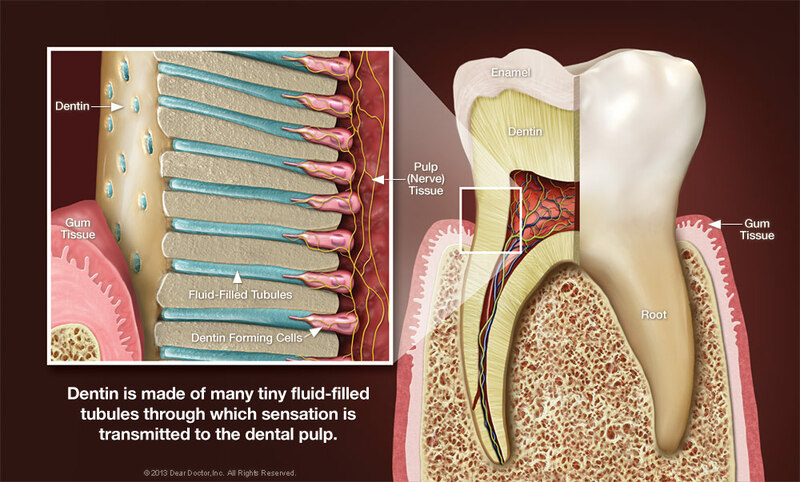 There are several reasons why the dentin can become exposed. 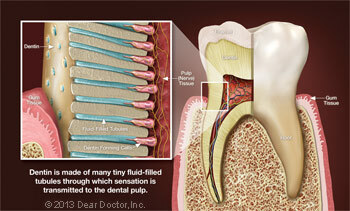 For one, the gums may recede (shrink down), revealing some of the tooth's root surfaces. This can be caused by genetic factors, periodontal disease, pressure from clenching and grinding — or a combination of all three. 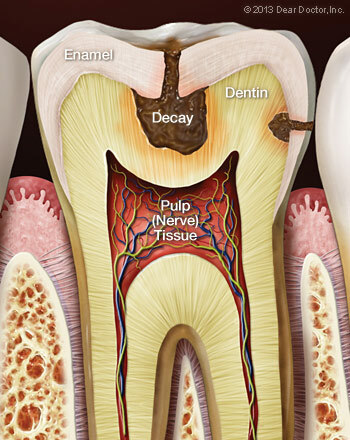 This problem may be worsened if the tooth's roots weren't completely covered by cementum during their development, as sometimes occurs.